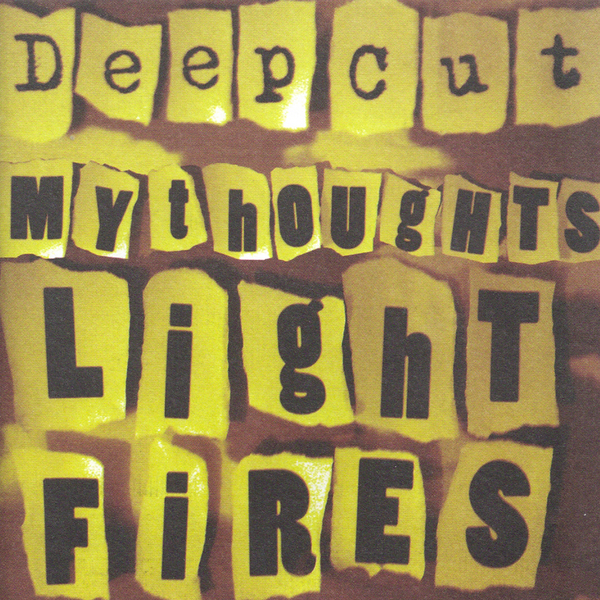 The debut album from East London band Deep Cut, My Thoughts Light Fires. Debut single Commodity turned a few heads, and since then the band has been quietly gigging around London and recording new songs. The first fruits of these recordings, Time To Kill was released as a 7” & digital release and spent six weeks on the NME Radio A-list. Deep Cut is vocalist Emma Bailey, guitarist Mat Flint and bassist Simon Flint, guitarist Pad Bailey and drummer by Ian Button. The album was recorded by Ian Button at Vatican Studios in East London. Mat Flint was founder member of early 90's Virgin/Hut band Revolver, and has played bass in Death In Vegas for ten years. Mat was also resident dj at Heavenly Social for four years. Several Deep Cut tracks have been produced/mixed by Tim Holmes from DiV.